Alas, poor Castlevania: Dracula X (Vampire's Kiss in Europe). Despite the best Konami efforts to snugly fit all the brilliance of the original PC Engine CD title Castlevania: Rondo of Blood inside a Super Nintendo cartridge it was just not meant to be; the fact it was a step down in the controls department from the previously released Super Castlevania IV was the final nail in the coffin of this SNES outing. But due to the small PC Engine userbase in America and Europe it was this version in which most encountered Richter Belmont's adventures for the first time. While nothing can be done regarding the controls, at least fans can enhance one of the series' most famous aspects: the soundtrack. The usual suspects have just released a new MSU-1 audio enhancement patch, with Conn on coding duties and PepilloPEV and Kurrono each contributing a different PCM soundpack to go along Belmont's second 16-bit SNES outing. The first (featured in the gameplay video below) features a mix of both the original PC Engine CD soundtrack and the latest PlayStation Portable re-imagination of the game, while the second focuses on fan remixes from the iconic series soundtrack. Every time fan efforts allow us to revisit Konami's glorious past we remember how much we miss these franchises, even the games that weren't the best of the genre - as in this case. But at least the latest free content update for Super Bomberman R is definitely a step in the right direction, giving us a tiny glimpse of hope for the future of these beloved IP. 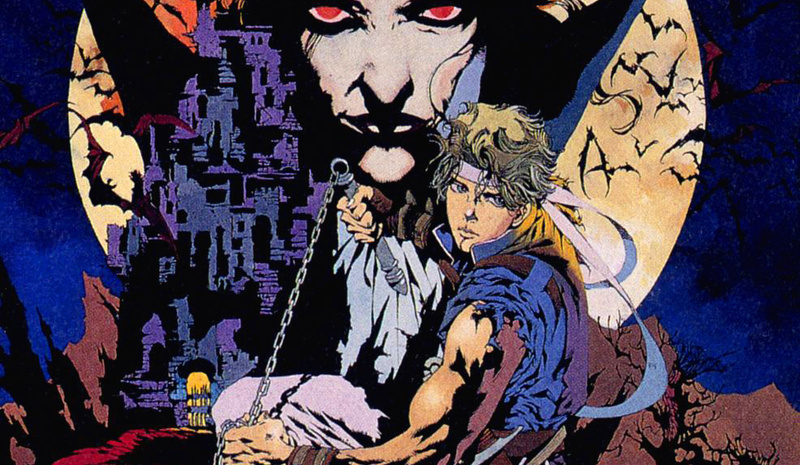 Castlevania: Rondo of Blood is still hands down my favorite Castlevania game. And one of the reasons for that is the music. Out of all PC Engine/Turbografx games suddenly being released on the aging Wii U VC, I really want that game to be one of them. The Redbook audio soundtrack is so good! I used to pop it into my portable CD player and tune out with it at college. I'll never let go of my Rondo of Blood PC-Engine CD-ROM! The PC Engine version of this game is great, glad I got it from the Wii Shop. The SNES version isn't so great. No amount of changing the audio so it doesn't sound like a SNES game anymore will not change that for me. I've only ever played the SNES version of this and it was one of the poorest entries in the series, especially after the fantastic Super Castlevania IV which had perfected the controls for these games and is still my favourite entry. I've recently been replaying all these games from the 8/16 bit era on my SNES mini (without save states to cheat) and loving them every bit as much as I did then apart from 2 😉. It still bugs me that after IV both this and Bloodlines felt like a step backwards and somehow weren't quite as visually appealing to me. @AlwaysGreener Literally word for word, you took the words right out of my mouth. First stage of Dracula X has a great tune. I like both the SPC and CD versions. As for controls, both IV and X had crap controls in different ways. Precision jumping in IV was a joke. Mmm, so good. I may have to try and pick up the wii release of rondo of blood....or unlock the original game in X Chronicles.